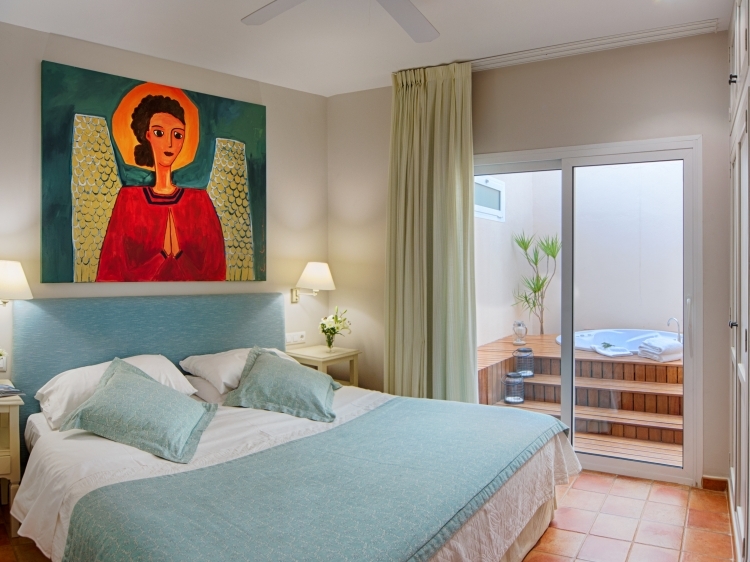 A short distance from the beach, and with panoramic views of mountains and sea, the Real La Joya boutique hotel is a haven of tranquillity. 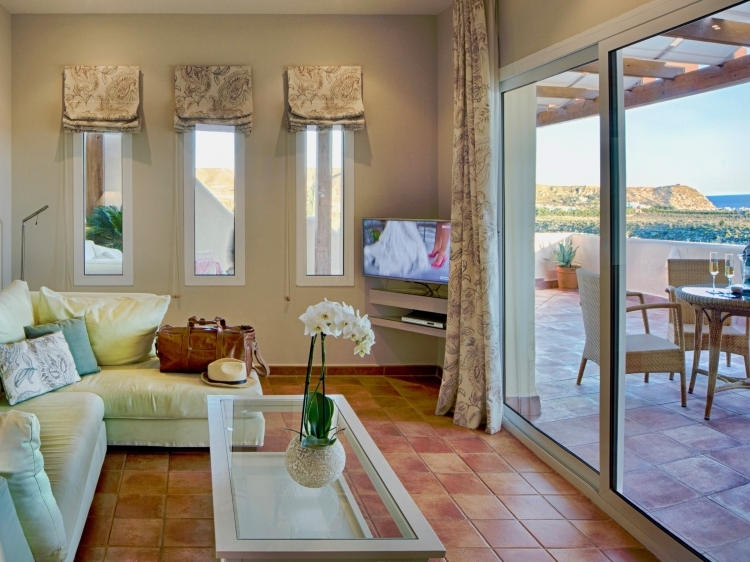 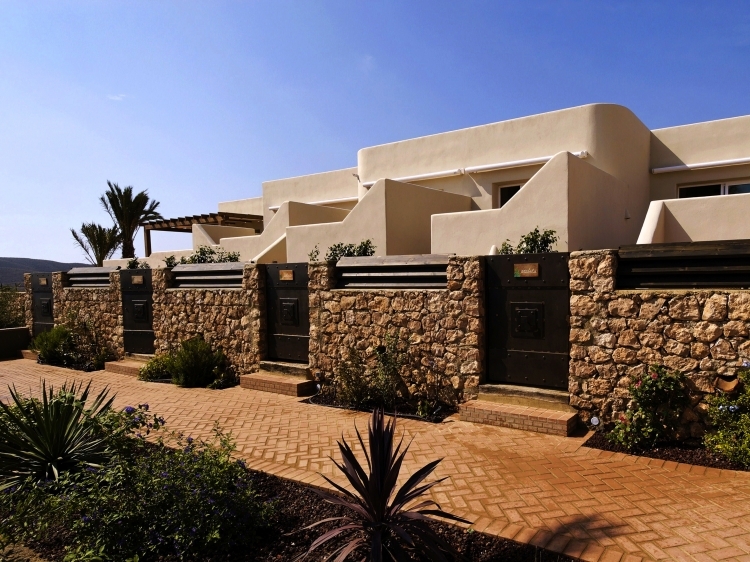 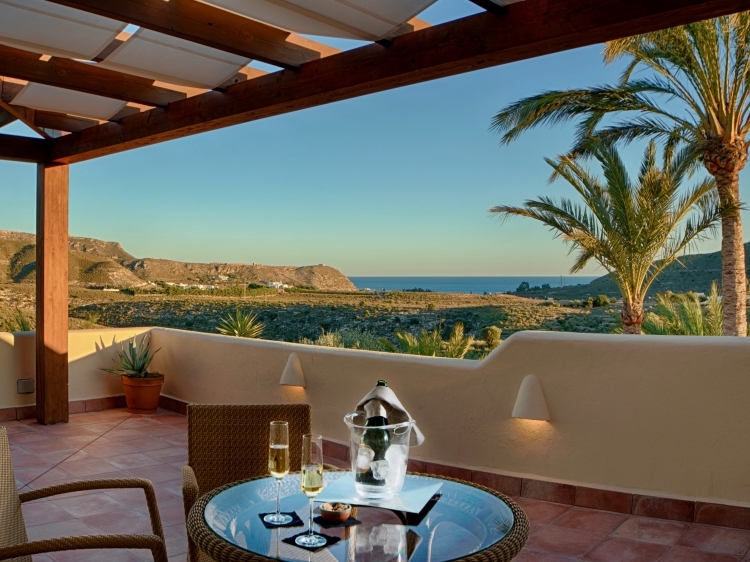 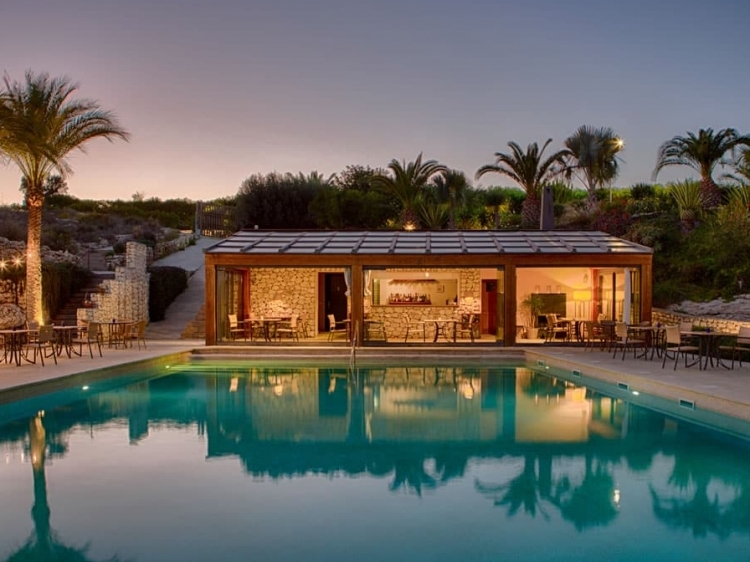 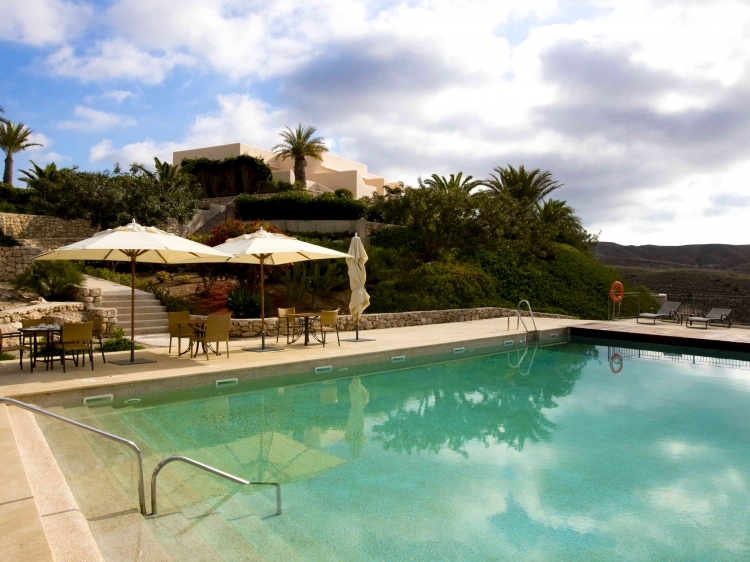 The 12 exclusive suites all have sea and mountain views, private entrances and large terraces with sunbeds. 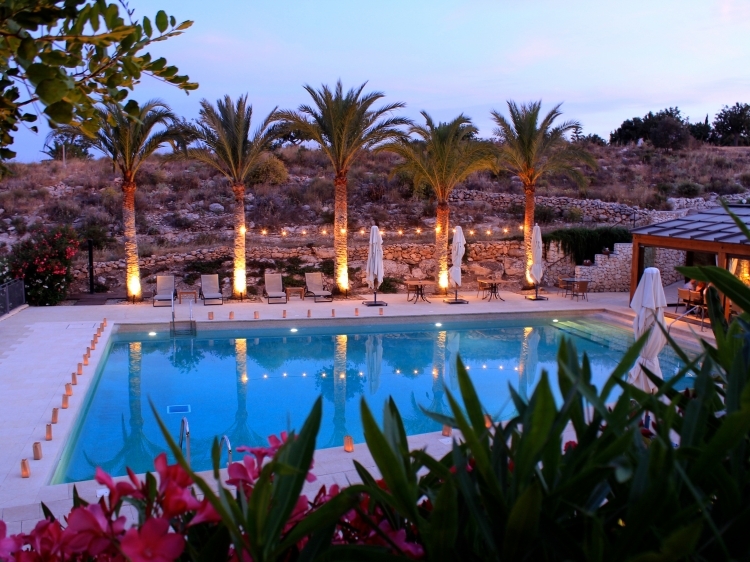 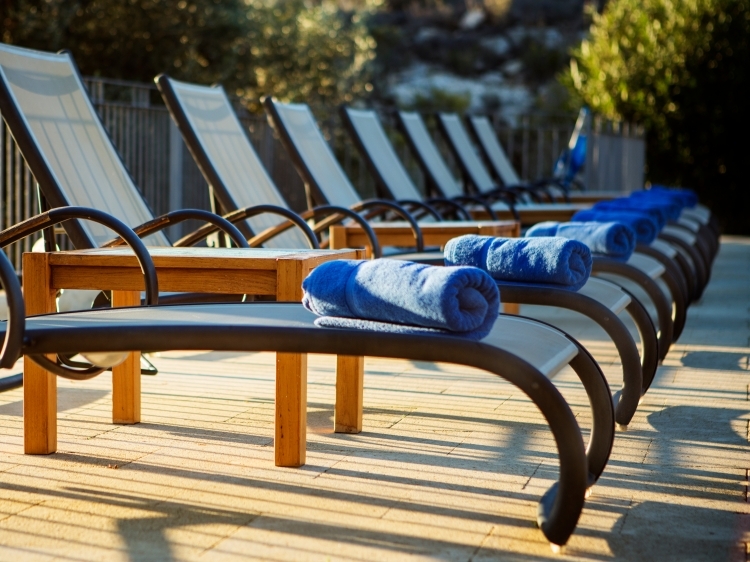 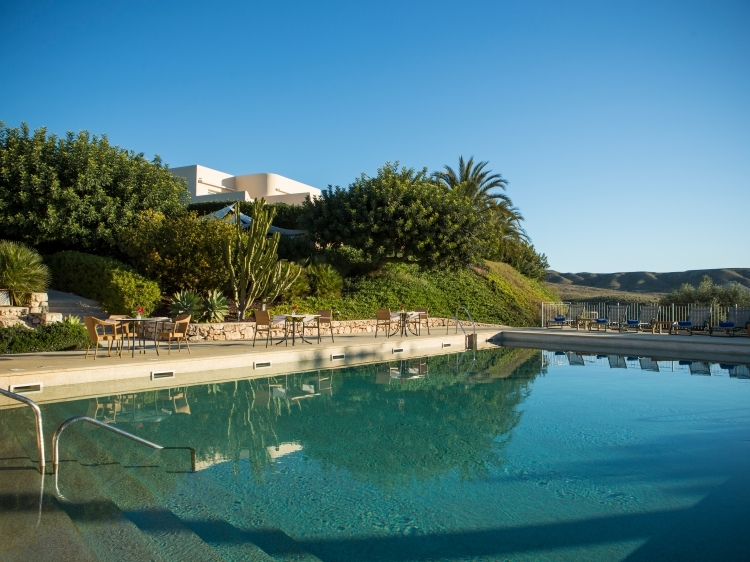 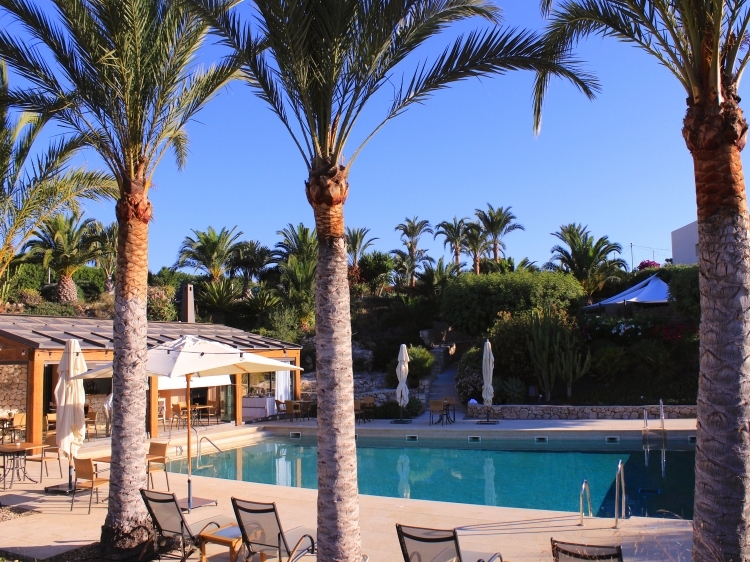 There is a heated pool, outdoor Jacuzzi, lounge and bar, restaurant and spa treatments. 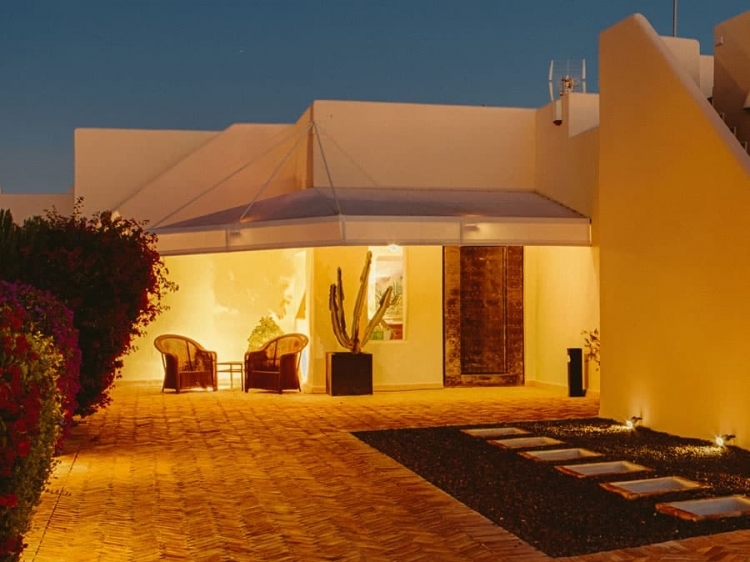 Real La Joya is surrounded by wonderful terraced gardens with intimate patios and pathways, scarlet bougainvillea, regal palms and century old olive trees, creating a lush oasis set against the grandeur of the surrounding desert. 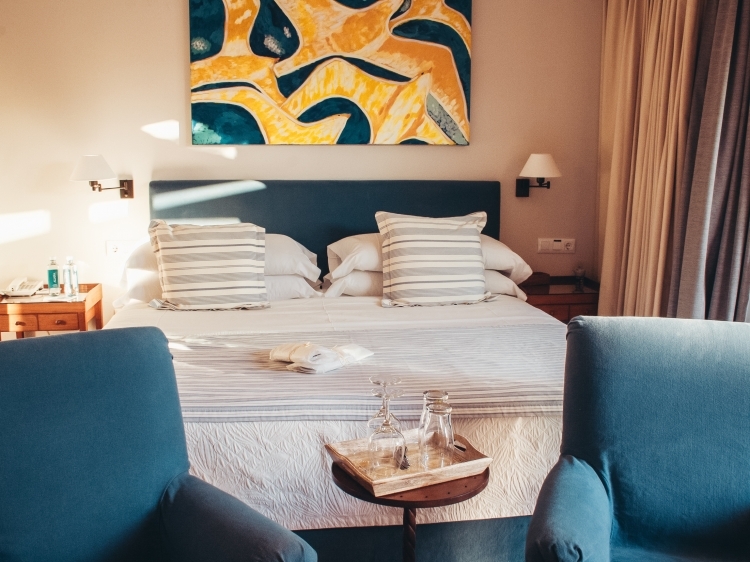 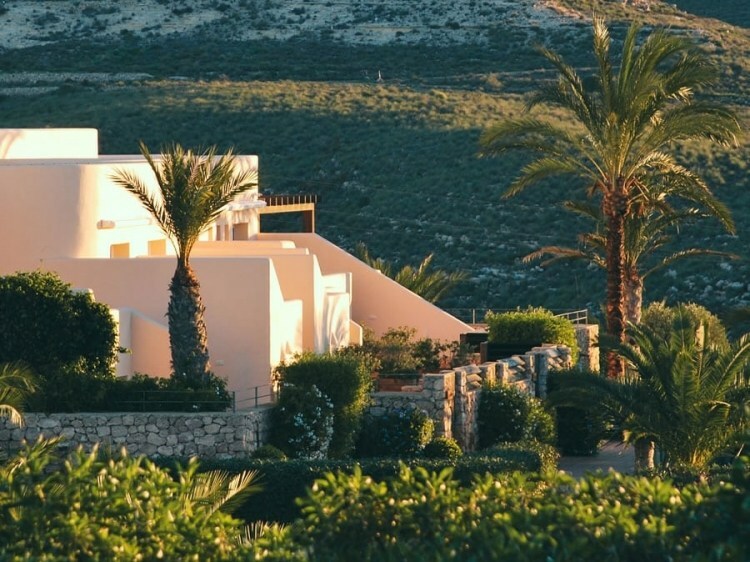 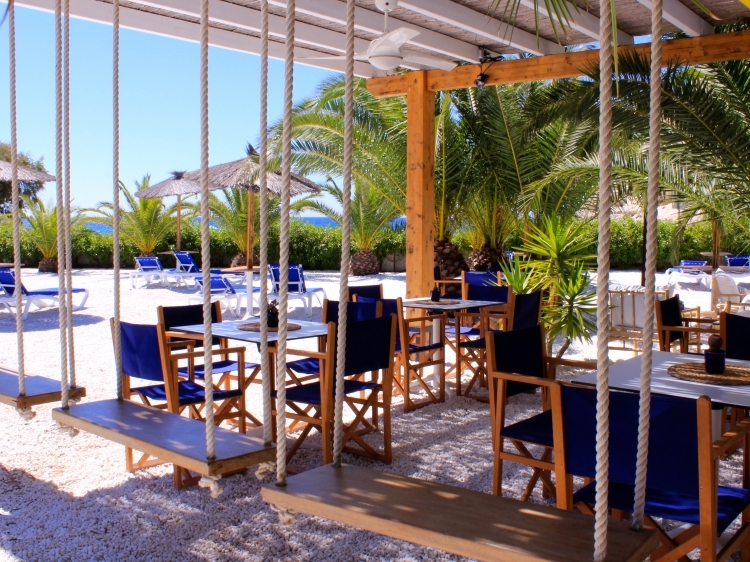 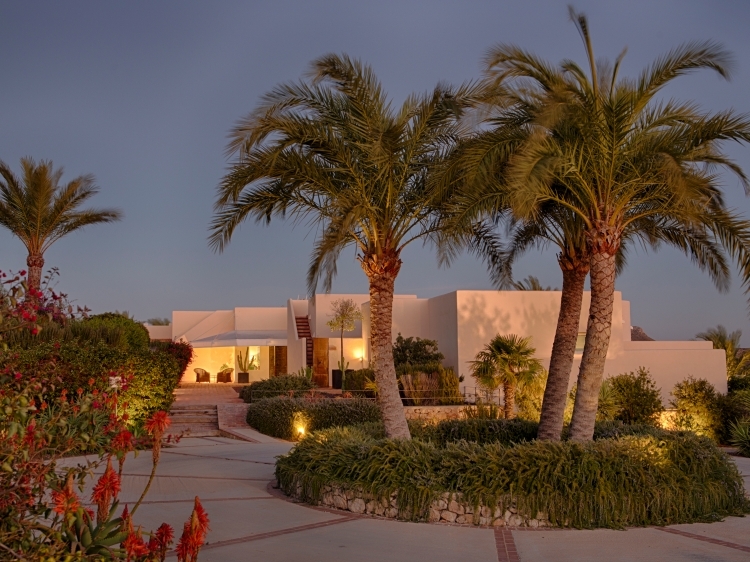 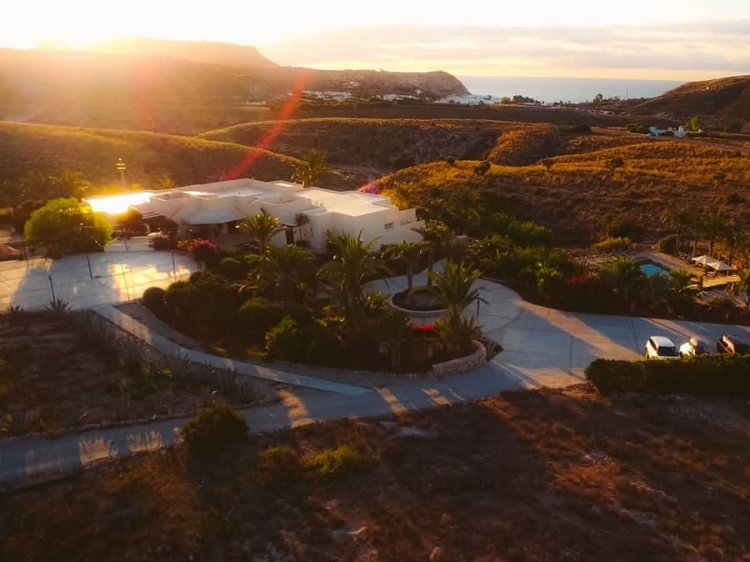 Real La Joya has become known as a discreet retreat for celebrities looking to shun the bright lights of Mallorca and Ibiza; but more importantly, it is a repeat favourite of couples from all over the world.